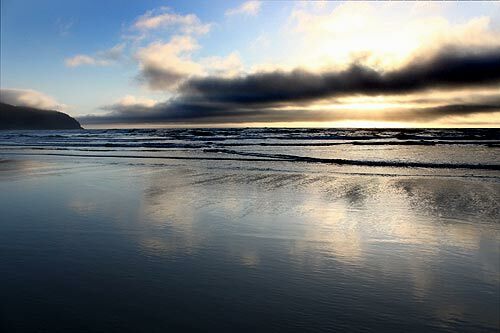 Something about Cape Lookout State Park seems especially conducive to stunning skies. 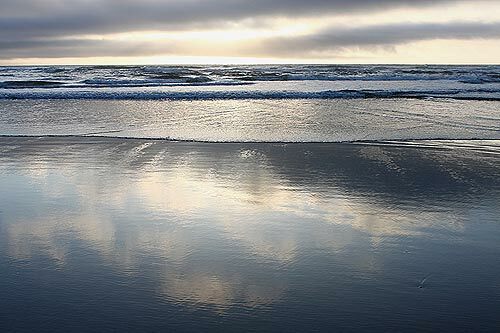 Sunset along these soft, sandy beaches can fire up these clouds just offshore and at times create incredible reflections in the wet strand closer to the tideline. 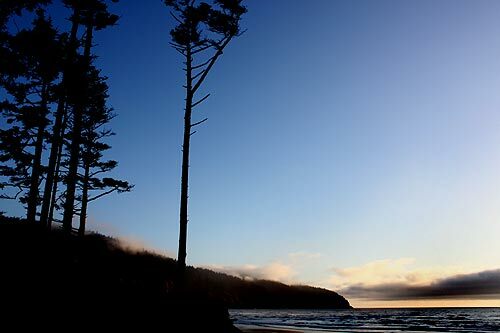 Massive, soaring trees here at Cape Lookoutâ€“ stripped bare from the middle downwards by constant winds and wild conditions â€“ offer up impressive silhouettes during such sunset moments. Grand and stately in stature, these are monsters by most Oregon coast arboreal standards. The beach goes on for about a quarter mile to the south, but several miles to the north, becoming less and less hospitable to the hiker as it thins out closer to the Netarts Spit, getting a bit dangerous. 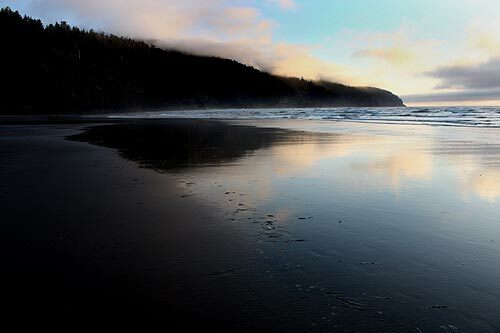 More updates on Cape Lookout State Park below. 186 Laneda Ave., Manzanita, Oregon. 503-368-7969. 800-883-7784. www.ssvr.com. Pacific City?s Inn at Cape Kiwanda a long-revered spot for not just watching the ocean but the whales as well.